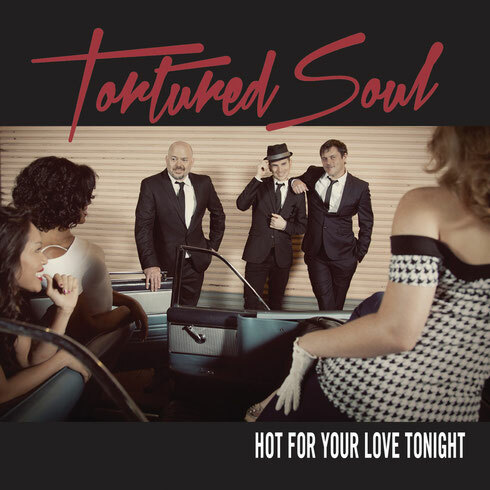 US soulful house trio Tortured Soul are possibly proof that modern soulful house can be freed from the DJ booth. Influenced by such classic artists as Prince, Heatwave and Kool & The Gang, the band deliver their third cool, groove-centred album, 'Hot For Your Love Tonight', dedicated to the memory of keyboard player and founding member Ethan White, who passed away suddenly in March at the age of 39. Opening with the heartfelt 'I’ll Be There For You', with other highlights including the deep house flavoured 'Don’t Lead Me On' and the seductively catchy album title cut, sandwiched among tracks including 'Dirty' and the disco groove 'Can't Keep Rhythm From A Dancer'. John-Christian Urich and The TS boys: "It has been a very difficult few weeks. The best way we know how to move forward and work through the pain and loss is to go out and perform. I know Ethan would want us all to continue. He helped to build Tortured Soul and I know he'd want our music to live on. We're going to thank Ethan for all he did to help make the band what it was and what it is, and we hope you will come join us. We want to see everyone's faces. We want to connect and play music and make everyone dance and be as happy as we can be... and drink some Tequila…"
Drummer/vocalist John-Christian Urich (Cooly’s Hot Box) bassist JKriv and keyboardist Ethan White (dunnEasy) have gigged at clubs such as Fabric, Cargo and the Jazz Cafe in London, to performances in front of 15,000-plus crowds at the Montreal Jazz Festival, headlining Southport Weekender and appeared at the Big Chill festival. From their early singles such as ‘I Might Do Something Wrong’, ‘How’s Your Life’, ’Fall In Love’ to their albums ‘Introducing’ and ‘Did You Miss Me’, Tortured Soul’s style is both an echo of the past and a challenge to the future, combining elements of old soul and funk with a modern dancefloor sensibility. Their productions have received remix treatment from artists such as Osunlade, DJ Spinna, Alix Alvarez, Quentin Harris and Dimitri from Paris among others. In 2010 JKriv departed the band to pursue his own musical adventures and was replaced by Jordan Scannella on bass. Since then the guys have been busy endlessly touring, penning new tracks and releasing their 'Undercover Remixes' album, which included remixers DJ Spinna, Dimitri from Paris, Quentin Harris, Eric Kupper and was mixed together by Jask. After the tragic passing of band member Ethan White earlier this year, Tortured Soul have decided to uphold their live bookings for Spring 2015 enlisting the help of keyboardist Isamu Macgregor.